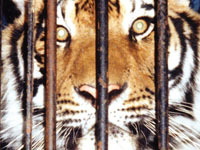 Animal Defenders International : Animals in entertainment : UK Government to ban wild animal circuses by 2020. UK Government to ban wild animal circuses by 2020. Animal Defenders International (ADI) congratulates the UK Government on committing to ban the use of wild animals in travelling circuses in England by January 2020. With similar bans recently passed in Ireland and Scotland, and under discussion in Wales, the UK-wide ban that the public wants, and the animals need, is finally within reach. It follows a decade of promises by the UK Government and more than 20 years of investigations and campaigning by ADI. If you live in England, urge your MP to support the 10 Minute Rule Bill to be introduced on 6 March. The Welsh Government is “exploring opportunities to bring forward legislation” and a debate is to be held in the Assembly on 7 March. Urge your AM to attend and support proposals for a ban! For more of the latest news, sign up to our action alerts.